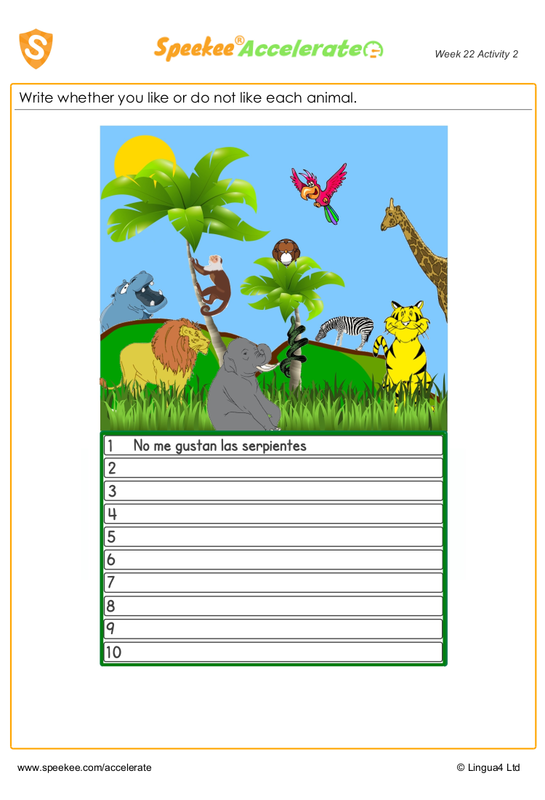 Animals in Spanish printable. Using the example as a model, name the animals and say whether or not you like them! Write whether you like or do not like each animal.